Extend Iridium's Extreme handset features when you're NOT outdoors! When satellite visibility is unavailable, ASE's 9575/P Extreme Docking Stations support all 9575 handset functions indoors, in-vehicle or below deck while adding unique, innovative, and powerful features of their own. Compatible with Iridium's Wi-Fi Axcess Point and Iridium Extreme Portal Providers, global communication and tracking has never been more powerful! The ASE Extreme Dock supports and enhances the power of the 9575 handset by coupling external Iridium and GPS signals and exposing all handset ports and buttons to the user when docked. This includes easy access to the SOS emergency button. The ASE Extreme Dock securely locks the handset in place and provides a latching connection to eliminate vibration and ensure reliable communications even in the most rugged conditions. The Dock fully supports all location and tracking features including Iridium ExtremeTM portal providers and partners of location-based services (LBS). 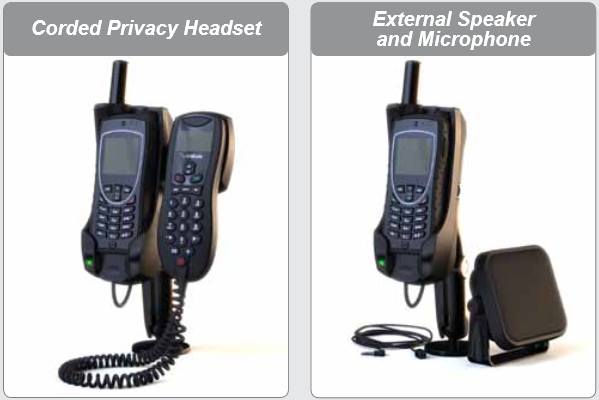 A variety of voice connections are possible with the ASE Extreme Dock which features a 'unique to the industry' palm held speaker/mic with push-to-talk (PTT) operation that is familiar with many first responders and security personnel. Other voice interfaces include standard speaker/mic for in-vehicle hands-free operation, privacy intelligent handset, and optional POTS/RJ-11 for long distance solutions, wireless handsets, and office PBX integration. ASE's exclusive SmartDial feature further simplifies satellite dialing from both the POTS/RJ-11 and privacy handset interfaces. For data use, the ASE Extreme Dock supports SMS text messaging and provides a direct USB connection to the 9575 handset, requiring no additional drivers or upgrades beyond the standard Iridium handset driver. Additionally, this port fully supports Iridium's AxcessPoint to provide a global Wi-Fi hotspot for devices such as smartphones, tablets and laptops, connecting users in ways never before possible. The ASE Extreme Dock accepts a male TNC for Iridium and a male SMA for GPS (mag-mount GPS antenna included). Therefore, in-vehicle applications require no additional antennas when used together with Iridium's mag-mount antenna supplied with their handset. For non-vehicle applications, ASE offers a variety of marine and dual-mode antenna solutions. To assist with the often overlooked, yet critical aspects of antenna placement, obstructions, and cable lengths, ASE developed Star8TM Diagnostics. Once an installer or end user activates our Star8TM features on site, diagnostic records are created, including: an instant report, a time-lapsed report, and a time-lapsed assessment that factors in satellite orbits. These evaluations are readily accessible by the user and may be shared with the service provider's technical team, who then can remotely assess the health and robustness of their particular voice and data connections. Star8TM features are accessible via the privacy handset and POTS/RJ-11 interfaces.